You bring a new house plant home. But after months of your care, it starts to look a bit sickly. 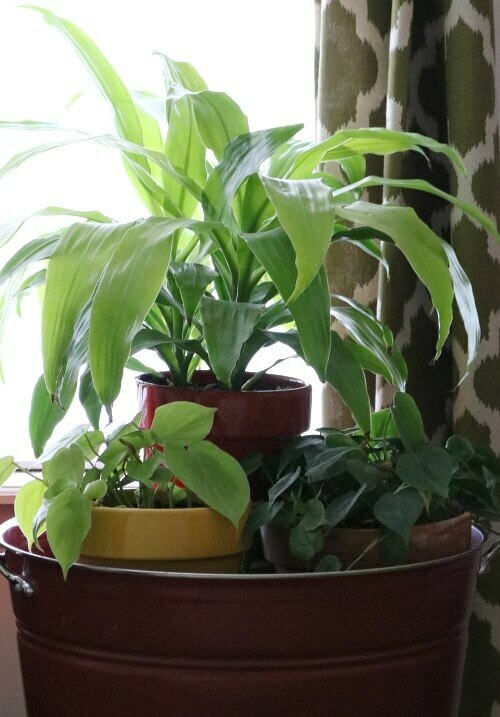 Before you get frustrated and toss it, try these tips for sickly house plants. If you have discovered pests on your plant, matches may be your answer. You don’t need to use chemicals or pesticides. Stick the matches in the dirt, making sure that the head of the match goes into the soil. And watch your plant recover from what ails it. And the reason for this is that the phosphorus and sulfur will get rid of the bugs/pests. The most common diseases on house plants is leaf spot. Yellow or brown spots will develop on an outer leaf and move inward. To deal with this problem, you can mix a tonic and spray it on the leaves. Dissolve 4 teaspoons of baking soda in a gallon of water and add a few drops of Murphy’s oil to make a suspension. If you’re wondering how warm it needs to be inside for your house plants, the ideal range is 70 to 80 degrees during the day and 60 to 68 degrees at nights. However most plants are adaptable. Just because a plant looks unhealthy or loses its leaves doesn’t mean that it’s dead. Dead leaves, stems and branches must go. Take a pair of scissors and trim away any dead leaves. Take note of light and humidity conditions. You don’t want bright sunlight in direct contact with your plant. Place your plant in a spot with about half as much light as is normally recommended. 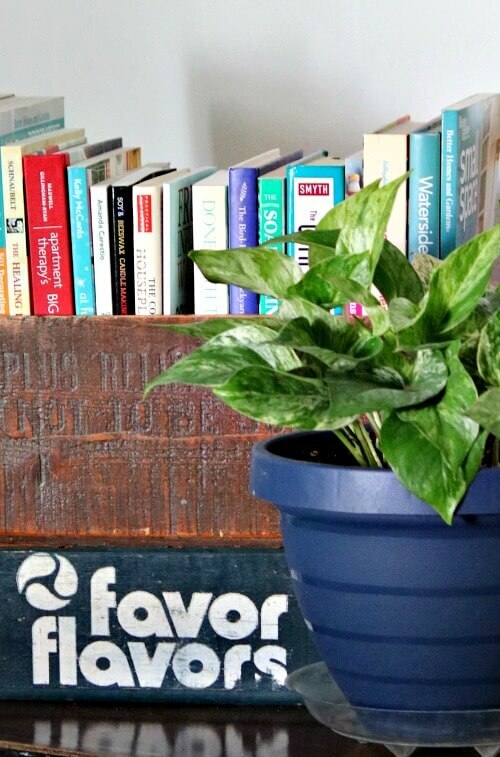 Fertilize your house plant with homemade fertilizer or pick up a ready mixed on at the store. You might repot the plant. Repot with fresh, not re-used, potting mix. Don’t water until you sink your finger into the soil up to your thumb and don’t feel moisture. Thank you for the information on using matches. Never heard of that before and definitely am going to try it. Have a great day. Cannot wait to try the matches. Thanks for the great tips; I do have several houseplants that definitely need some TLC. Take care and have a wonderful weekend. That’s a cool tip about the matches, that’s new to me!! I just had to toss a basil plant I brought in from the herb boxes in the fall, it didn’t make it indoors, so sad. My mom brought me a bunch of plants when she left for Florida and one of them is not doing well – I just moved it this morning to a spot with more light, and I bought some plant food – I jotted a note this morning to remind myself to feed all my plants this weekend! I bet you miss your houseplants since you had to give them away….but little Ivy makes up for it! Thanks Brenda! I already killed the prayer plant and the jade plant isn’t doing too well. These tips, I hope will save the jade. I need furbaby pictures please! Interesting tip about the matches, Brenda. Most of my plants are doing pretty well right now but I don’t have any blooms on the African Violets. I got a new broad spectrum plant light a few weeks ago so I’m hoping that will help. To Carol and Molly: I have a Jade plant and it is happiest when it gets lots of light. It like the sun and doesn’t like too much watering but if it doesn’t get enough it’s little sprouts will start dropping off. It is a succulent but depending on the light it gets it could need a fair amount of watering. If you are worried about it croaking just pinch off some of the little leaf shoots and root them in water and plant or stick them directly into the soil and keep watered and they will give you a baby plant. Even just one leaf stuck in water or soil will root and grow a new plant. Hope this is helpful and that your Jade will pep up and grow wildly! Do you or anyone else have advice for my dying Croton, please? Bought it on Clearance, and it may have been doomed from its beginning. I can’t find tips on doing anything differently than I am. Thank you! Meant to add: I’ve never had Croton before; are they finicky? I’m not used to losing plants…. going through major stress with my wonderful Husband in hospital–he could have died this week because insurance was blocking tests he needed!! So every little stressor feels bigger! Trying to keep it together for our kids. To Kimberly, I am sorry about your husband’s health issues and hope and pray that all goes well for you and your family. On the subject of plants, I seem to do better with outside plants. Well, I think the problem is, I don’t like fussing with things in pots, and wondering if they need a bigger pot, and so on. So these tips are interesting to know. Right now I have a sanseveria, a plant I like because it looks interesting and needs little attention. And I have three Christmas cactuses, which don’t want to make blooms and I never remember to figure out what kind of light and heat they need to get them to make some blooms. Oh well. they have a nice structure to them, even without flowers. I will keep ur husband, kids, and you in my thoughts and prayers! If you need to talk to us, we are here for you! Right Brenda! Brenda, do you still have Jade, the tree?